The project ‘Sun Dial’ was conceived in collaboration with Dr. Stephan Brenneisen (ZHAW, University of Applied Sciences, Zurich) and Michael Zogg, Designer. 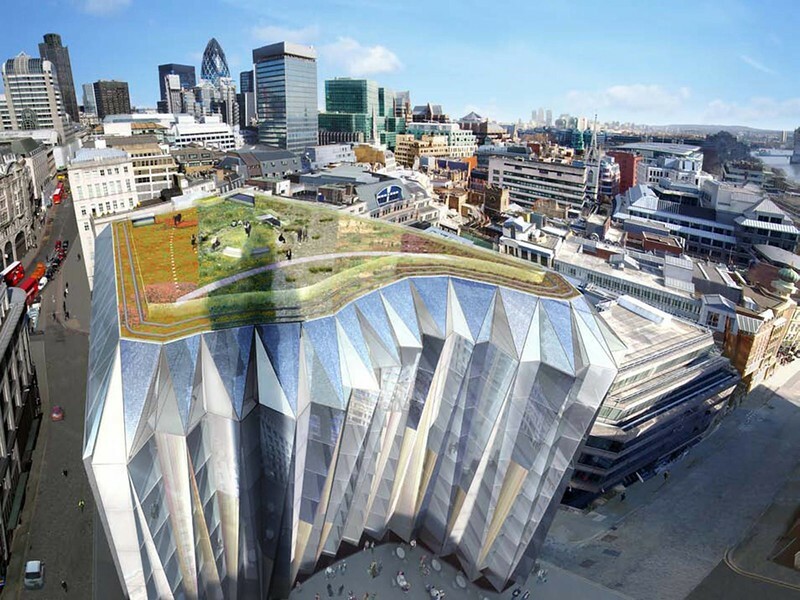 The Monument Building, in London, designed by Make Architects, London will be completed in 2016. The proposal ‘Sun Dial’ takes the immediate neighbourhood of the Monument into account and highlights the interaction between the historic landmark (The Monument, memorial for the Great Fire of London 1666) and the contemporary office building. Using the Monument as the needle of a sundial draws a larger context around the cityscape and the natural influences. The sun, as it passes the Monument throws its shadow over the roof, providing shade and offering a dynamic play of light on the roof. The design is a combination of several fields of plants in different colours (controlled by the height of the substratum) and the actual shadow of the Monument. The wooden boardwalk offers the building inhabitants the possibility to promenade over the green zones without destroying the plants. At the same time, this boardwalk indicates through the shadow of the monument the time at a particular date. This project is a self-sustaining habitat, that promotes biodiversity and acts as a active cooling system in the urban realm.